During a quick stop in Buffalo, U.S. Senator Kirsten Gillibrand pushed legislation to help small businesses. 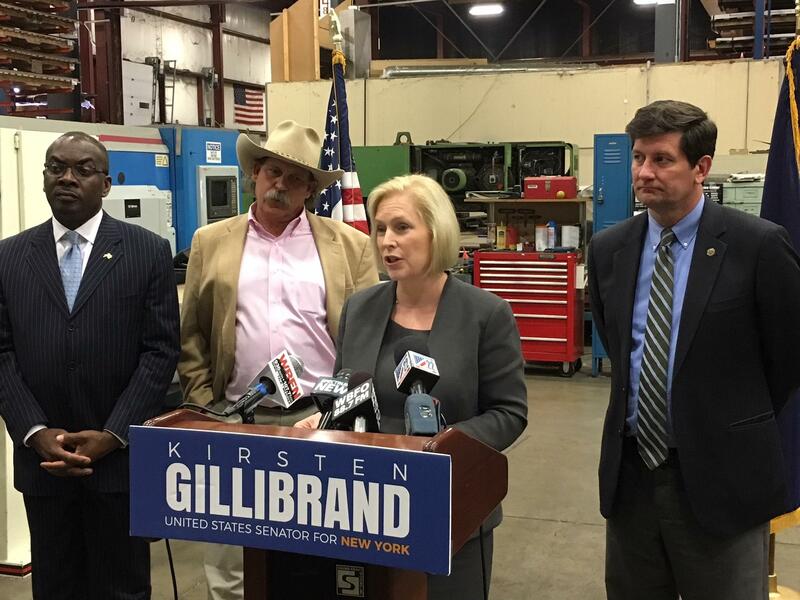 Gillibrand held a brief press conference, inside Rigidized Metals, on Ohio Street, Monday. The Hudson Valley Democrat said, New York state has some of the best manufacturing traditions in the country. "Unfortunately, there are still too many hardworking people in Western New York who are ready to take their good ideas and turn them into manufacturing businesses that could serve our community. But, they can't do it, because a lot banks won't lend to them and they don't have access to the capital they need." So, Gillibrand says, she's supporting bipartisan legislation that would increase the availability of affordable loans through the Small Business Administration. The legislation, she said, is called, Investing in America's Small Manufacturers Act. "It would make it easier for small manufacturers to borrow the funding they need to get started and running. It would cut the loan fees that these businesses have to pay when they're borrowing money. And it would eliminate the so called start up penalty which is yet another payment that new manufacturers have to make in order to get certain types of loans from the SBA." Gillibrand says the barriers are getting in the way of the nation's economic recovery and Congress must remove them. 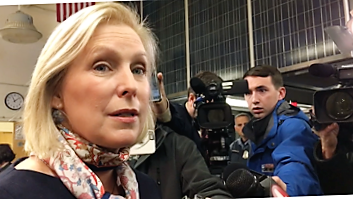 New York’s junior senator, Kirsten Gillibrand, was officially nominated for re-election Friday at a meeting of the State Democratic Party in Albany, where she said she will serve out her entire six-year term if she wins the race in November. WNFO Albany Correspondent Karen DeWitt reports. Senator Kirsten Gillibrand made a quick stop in the Buffalo area Monday to hear about the benefits of working for an employee owned company.